If you’ve been in an auto accident, you know that injury doesn’t always present itself right away. The damage may be felt weeks, months, or even years after the fact, and it doesn’t always go away. Chiropractic care doesn’t mask the symptoms, it works by addressing the root cause. This type of accident most frequently causes damage related to the spine, nerves, muscles, and other soft tissue areas. 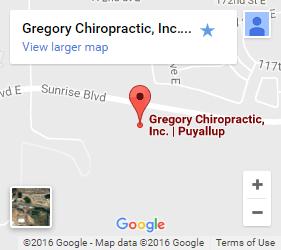 As an auto accident chiropractor in South Hill, our resident chiropractor at Gregory Chiropractic knows how to identify and heal even long-term damage related to automobile accidents. Stop living in pain. Contact us today. Get long-term relief with the help of a chiropractor. Patient focused care – Patient-focused care means approaching patients without pre-conceived notions. We don’t assume we know what’s wrong before meeting with the patient. We take the time to understand their situation as a unique one, and perform the necessary tests to diagnose the source of an ailment without basing treatments on assumptions. A family friendly environment – It’s easy to overlook, but many patients have other responsibilities. Scheduling at a time that is convenient and providing an area where younger family members can safely play and engage while their guardians are treated has always been part of our clinic. It isn’t just older people who are negatively affected by auto accidents as well. We also provide treatments to younger patients that take their growth and age-specific patient needs into consideration. Breadth of services – Auto accidents affect every person uniquely. 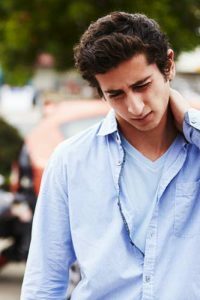 The effects of whiplash vary greatly depending on the angle, speed, and resistance of the vehicle as well as the patient’s height, weight, and sitting position. We offer a wide range of treatments that include physically rehabilitative exercises, manual adjustments, massage therapy, and more. This toolbox equips our facility with everything it needs to repair the damage done to your body and facilitate long-term healing. Contact us for auto accident chiropractic services today. Don’t live in pain any longer—recovery is possible. Getting your life back begins with a single connection, so call or contact us to schedule an appointment with your local auto accident chiropractor in South Hill.